Travellers in the Third Reich tells us what happened in Germany between the wars but in a novel way. Based on first-hand accounts written by foreigners, it creates a sense of what it was really like, both physically and emotionally, to travel in Hitler’s Germany. Scores of previously unpublished diaries and letters have been tracked down to present a vivid new picture of Nazi Germany that will enhance - even challenge - the reader’s current perceptions. For anyone born after the Second World War, it has always been impossible to view this period with detachment. Images of Nazi atrocities are so powerful that they can never be suppressed or set aside. But what was it like to travel in the Third Reich without the benefit of post-war hindsight? How easy was it then to know what was actually going on, to grasp the essence of National Socialism, to remain untouched by the propaganda or predict the Holocaust? These questions, and many others, are explored through the personal testimony of foreign visitors to the Third Reich. Among them are celebrities like Charles Lindbergh, Lloyd George, the Maharajah of Patiala, Francis Bacon, the King of Bulgaria and Samuel Beckett - to name just a few. But even more telling are the experiences of ordinary travellers, ranging from pacifist Quakers to Jewish boy scouts; African-American academics (one of whom had a remarkable meeting with Hitler) to First World War veterans. Students, politicians, musicians, diplomats, schoolchildren, communists, poets, journalists, fascists, artists, and of course tourists - many of who returned year after year to holiday in Nazi Germany - all have their say as well as Chinese scholars, Russian princesses and a pro-Nazi Norwegian Nobel laureate. The impressions and reflections of these assorted travellers naturally differ widely and are often profoundly contradictory. But drawn together they generate an extraordinary three-dimensional picture of Germany under Hitler – one so palpable that the reader will feel, hear – even breathe the atmosphere. These pre-1945 travellers’ tales also make it clear that it was by no means as easy to gain a proper understanding of Nazi Germany as we often assume. Disturbing, absurd, moving, and ranging from the deeply trivial to the deeply tragic, they give fresh insight into the complexities of the Third Reich, its paradoxes and its ultimate destruction. "What was Nazi Germany really like in the run up to the Second World War? Julia Boyd’s painstakingly researched and deeply nuanced book shows how this troubled country appeared to travellers of the 1930s who did not have the benefit of hindsight. A truly fascinating read." "In the 1930s the most cultured and technologically advanced country in Europe tumbled into the abyss. In this deeply researched book Julia Boyd lets us view Germany's astonishing fall through foreign eyes. Her vivid tapestry of human stories is a delightful, often moving read. It also offers sobering lessons for our own day when strong leaders are again all the rage." "Engrossing … skilfully woven together to create a three-dimensional picture of Hitler under Germany that has many resonances for today." " This is an entertaining popular history that casts an original eye over the history of the Third Reich. It will appeal both to general readers and students of history …Boyd is clearly a traveller who loves exploring place, people and history. Travellers in the Third Reich shows that she is a researcher of some skill and dedication – seeking original, interesting and relevant material. One of the big achievements of the book is that traveller attitudes to Germany and the Nazis give an insight into the feelings before the war. Often at odds with or in more depth than many standard histories. The notes, index and list of travellers are very good. " "Meticulously researched…Julia Boyd’s research has been exhaustive. She has visited archives all over the world and assembled a vast and entertaining cast of travellers…makes for thought-provoking reading." "This riveting bookis full of arresting insights into everyday life in Germany between the wars." "A compelling historical narrative … both flatters and challenges our hindsight. [Boyd] lets her voices, skilfully orchestrated, speak for themselves, which they do with great eloquence." "Fascinating … surreal scenes pepper Boyd’s deep trawl of travellers’ tales from the scores of visitors who were drawn to the ‘new Germany’ in the 1930s"
"To a younger generation it seems incomprehensible that after the tragic Great War people and political leaders allowed themselves to march into the abyss again. Julia Boyd’s book, drawing on wide experience and forensic research, seeks to answer some of these questions." "With an almost novelistic touch, [Boyd] presents a range of stories of human interest … The uncomfortable moral of Travellers in the Third Reich is that people see and hear only what they already want to see and hear." " Fascinating … This absorbing and beautifully organised book is full of small encounters that jolt the reader into a historical past that seems still very near." "Drawing on the unpublished experiences of outsiders inside the Third Reich, Julia Boyd provides dazzling new perspectives on the Germany that Hitler built. Her book is a tour de force of historical research." "A revealing and original account. Some of Adolf Hitler's fellow travellers, lulled by self-deception, gulled by propaganda, deluded themselves about Nazi Germany as they deceived others." 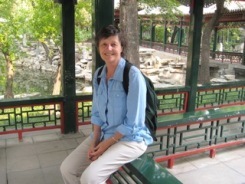 "Julia Boyd has conducted a vast range and volume of research. The numerous witnesses of Germany under Hitler whom she quotes have different ages, nationalities, backgrounds and opinions. Out of the multitude of first-hand accounts she spins a tapestry which is full of vivid detail and gradually creates a coherent whole. The horrors of the Hitler regime and how it came to power, and the suffering of ordinary people, are brought to life. The book is comprehensive, informative and full of life. I wish I could have read it before I first worked in post-war Germany. I would have understood better the Germans whom I knew and admired even more what West Germans achieved after 1945. A glorious read for anyone with an interest in the history of the twentieth century." "Unique, original and engagingly written. This account of visitors and tourists to Germany brings to life these difficult decades in a most refreshing way [and] should attract a wide circle of readers." "Boyd's fresh and instructive look at 1930s Germany as described in contemporaneous travel narratives reveals a tourist destination that continued to attract visitors even as the true intentions of the Nazis became obvious "
"This compelling, intricate, and meticulous work of how outsiders viewed Hitler’s Germany will appeal to readers of World War II and 20th-century history. " "...fascinating and scary, given the world we’re living in now." Winners will be announced at a ceremony on April 12, the day before the start of the Los Angeles Times Festival of Books. Russian and Spanish rights in Julia Boyd’s Travellers in the Third Reich . Chinese rights in Alex Larman’s Byron’s Women. Julia Boyd’s Travellers in the Third Reich has made it (at no.10) into the Sunday Times non-fiction paperback bestseller chart. Congratulations to Julia Boyd whose Travellers in the Third Reich was a top five London Bestseller in the Standard. Pegasus have bought US and Canadian rights in Adam Ockelford’s Comparing Notes: How We Make Sense of Music Travellers in the Third Reich just out from Elliott & Thompson. 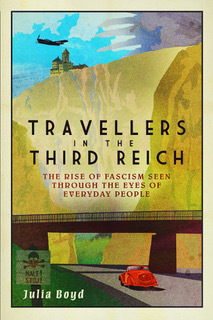 Lewis Jones described Julia Boyd’s Travellers in the Third Reich as ‘a compelling narrative’ where the voices of her interviewees ‘skilfully orchestrated, speak for themselves…with great eloquence whilst Ivan Hewett reviewing Adam Ockelford’s Comparing Notes: How We Make Sense of Music felt ‘there is much to learn from this book’. Elliott & Thompson have bought UK & Commonwealth rights in Julia Boyd’s account of travellers in the Third Reich for publication in August.